First rule of magic: things can always get worse! 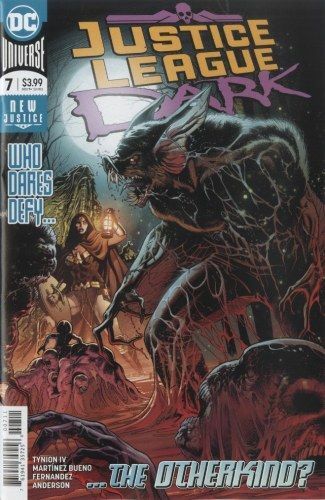 Man-Bat learns that the hard way when he plays narrator and chronicles the nightmarish menagerie known as the Otherkind-horrific, monstrous entities such as 'the Soup,' 'the Rip' and 'the Offspring'-that burst through the Sphere of Gods and invaded Earth. The JLD soon realize they're no match for an invading horde of hellspawn, and to have any kind of chance, they'll have to go down a darker path. But how much darker can this team get before they become monsters themselves?